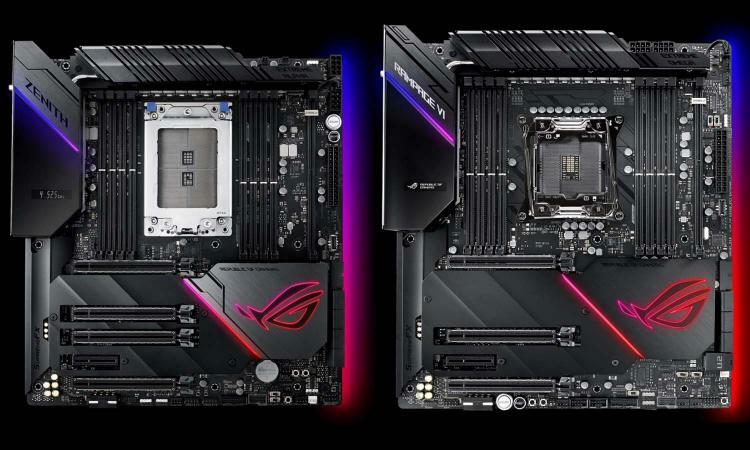 ASUS presented its new flagship high-end desktop motherboards for the Intel X299 and AMD X399 platforms with the new ROG ZENITH EXTREME ALPHA and RAMPAGE VI EXTREME OMEGA at the recently concluded CES 2019. Each motherboard packs the new and improved ROG DNA to support the extra cores and greater power requirements for the recently added HEDT processors from both AMD and Intel. The new motherboards can push the latest Ryzen Threadripper and Intel Core-X Series processors better compared to the previous generation motherboards. See the added features to both motherboards below. The second-generation AMD Ryzen Threadripper and new Intel Core-X series processors have more cores thus demanding more power. 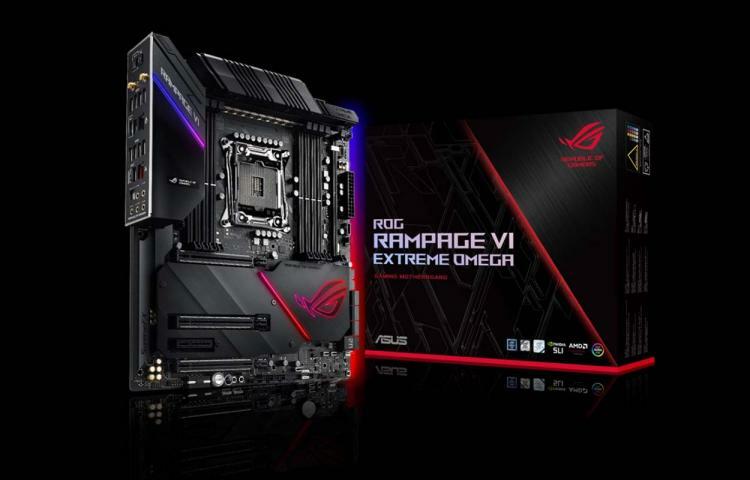 The ROG ZENITH EXTREME ALPHA and RAMPAGE VI EXTREME OMEGA both feature a 16-power phase stage spread over eight phases. This design works like a double-barrel shotgun that delivers twice the current instantaneously. The CPU is powered by dual auxiliary 12V connectors with eight pins per connector featuring ProCool jacks which are solid pins to carry more current. Both motherboards are both LN2 extreme cooling-ready for extreme overclocking. Having more cores and more powers generates more heat thus requiring a more robust and comprehensive cooling mechanism. Both motherboards feature the ASUS 5-Way Optimization utility which includes an automatic cooling calibration. FanXpert 4 adds the ability to control cooling fans based on GPU temperatures and intelligently responds to gaming loads. The motherboards also pack massive VRM heatsinks with hidden active fans which are also controlled by FanXpert Intelligence. Both EXTREME Series motherboards also come bundled with a Fan Extension II card that adds six more fan headers and three temperature probes. Furthermore, the M.2 SSD slots are covered with a heatsink to keep them cool as well. 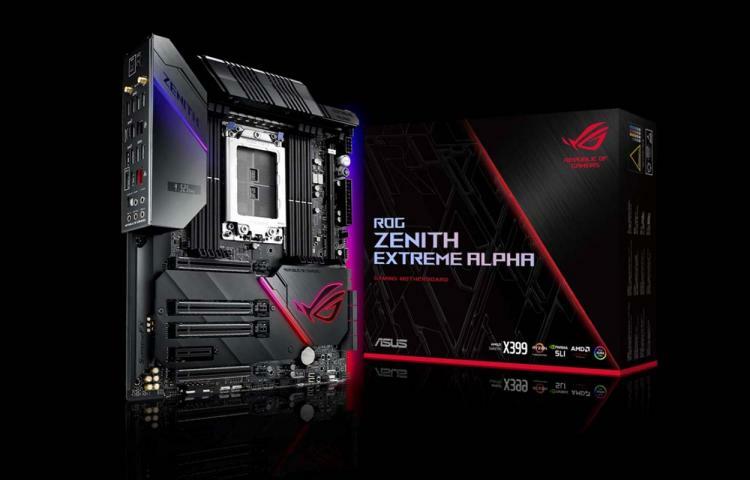 The ROG ZENITH EXTREME ALPHA and ROG RAMPAGE VI EXTREME OMEGA motherboards come with a stunning aluminium cover. The anodized aluminium armour reinforces the motherboard’s premium undertones with integrated illumination powered by ASUS Aura Sync giving a unique premium look exclusive to the EXTREME Series.